Two months after the Uptown Learning Center announced its possible imminent closure, its former director has been arrested on charges that she stole well over tens of thousands of dollars by taking cash payments from parents, then under-reporting the total number of students at the school, according to New Orleans police. Natasha M. Burrows, 36, was arrested Tuesday, April 7, on a charge of theft of $1,500 or more, according to a Orleans Parish jail records. She appeared in magistrate court the same day she was arrested, Tuesday, April 7, and had a bond set at $30,000, but she was subsequently released on a personal surety bond by permission of Judge Harry Cantrell. 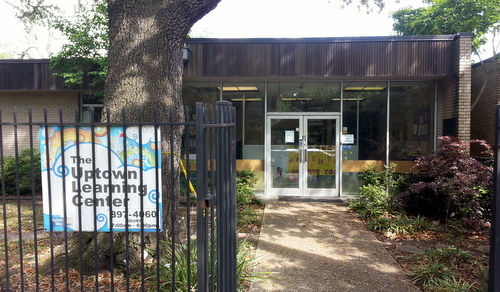 The Uptown Learning Center at 1771 Nashville Avenue is operated by the nonprofit Arc of Greater New Orleans, which announced in January that the center would close by Feb. 27 because of unexplained “financial and staffing” issues. Amid outcry from parents, however, Arc director Cliff Doescher subsequently said the center would temporarily remain open beyond February to explore other options. The charges against Burrows were set in motion on Feb. 4, when Doescher told NOPD financial-crimes Detective Frank Denton that she had been fired because of suspicions about theft from the Uptown Learning Center, according to court documents. Burrows then under-reported the number of students enrolled at the center, the warrant states. Doescher also told police that cash payments were not encouraged at the center, and that no discounts should have been offered. When Doescher made the initial complaint, he told police that an internal review determined at least $30,000 was missing. He and a financial officer returned in late March to tell detectives that the sum had increased amid further review, the detective’s report states. Between July of 2013 and December 2014, “virtually no cash payments were recorded,” but they discovered more than 100 receipts given to parents for payments. “They advised that the ongoing internal and external audits will reveal that the loss is much greater than the $30,000 known at this time,” the warrant states. Burrows was listed as the director of the Uptown Learning Center as recently as February of this year, though Lavinya Veals is now the interim director of the center. No sign on the door or any other indication at the building mentions what lies in store for the center, and employees there referred questions to Doescher. No attorney was listed for Burrows in court documents, and she is not represented by the Orleans Parish Public Defender’s office, officials there said. Burrows is set to return to court May 5.